These are all great looks! I love them all and know they all would work great! All of these look are adorable and perfect for turkey day! Love that stripped skirt! The first look is perfect! What an absolutely beautiful thing. The shirt with bow and the skirt extremely feminine. I loved every detail, my dear. All suggested looks are great, but I really fell in love with the first. I love all of these options! The leather pants are my favorite on you! Happy Thanksgiving, my friend! I love the skirt! Fabulous! We Don t have a thanksgiving day of course. I live in the Netherlands! Enjoy yours! All of these looks are gorgeous Rachael! I think the leather pants look is something I will go for. The black and blue skirt is juts stunning. 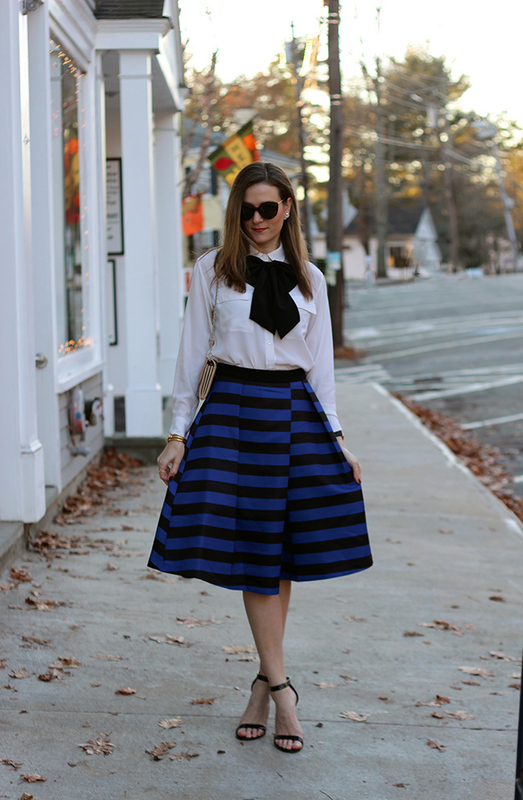 I love these Thanksgiving looks, lady- especially that gorgeous striped skirt! These are all stunning looks! 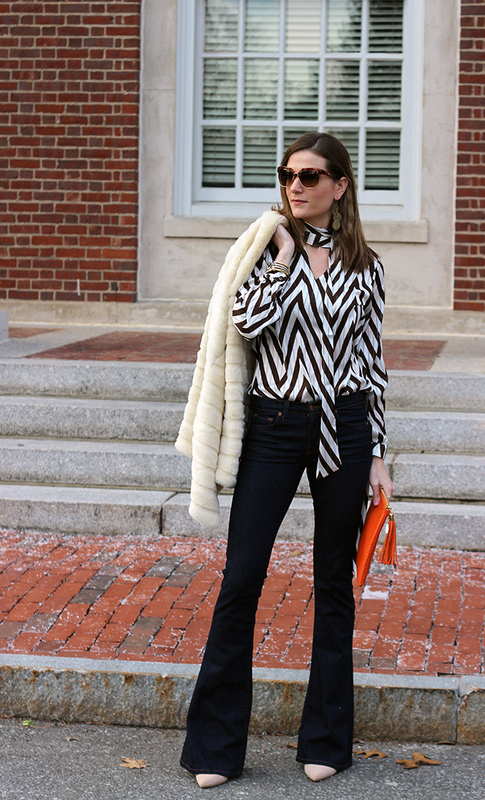 I just love the leather pants and the one with the jeans as we tend to be more casual. You look lovely! So many pretty outfits!! The last outfit is totally me! Loving all these looks, but the first got to be my fav! Fabulous looks! I love the skirt in the first, but my favorite outfit is the black suit one. I'm the cook, so I don't dress up for Thanksgiving, but I envy those who can!